Mike Huckabee’s candidate-friendly Republican presidential forum didn’t make a ton of news. It wasn’t supposed to. The candidates who showed up on Saturday night were told not to attack their rivals. No zingers; just some insight into which candidates do and do not know what they’re talking about when state attorneys general follow up. If you missed it (on Saturday night? What else could you have been doing? ), Virginia AG Ken Cuccinelli was clearly the sharpest and most perceptive questioner. Easy to explain why: He was consistent. He had six Republicans telling him they revered the Constitution, then telling him various ways they would use the executive branch the way Tim Tebow uses football – to change the world for the better. 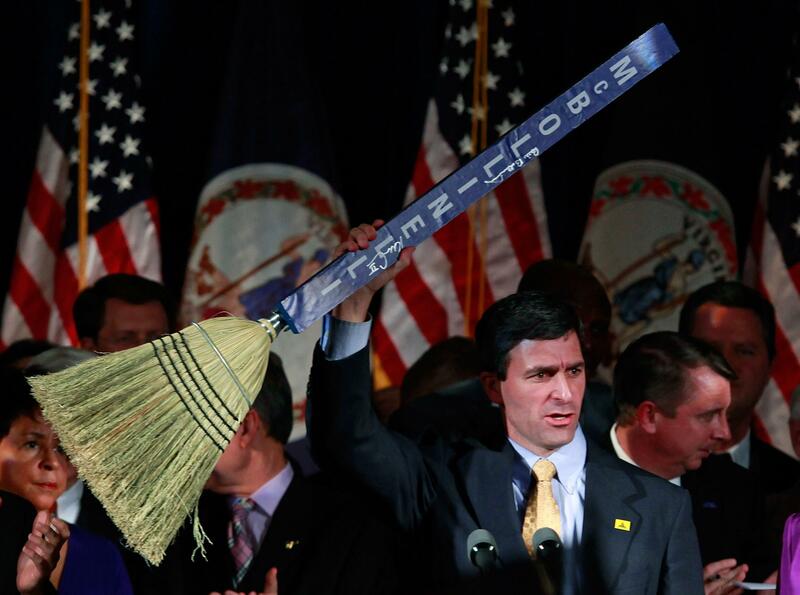 Not so, said Cuccinelli. One, they were flawed people. Two, they would have to explain why the executive had a role in what they were doing. Take this exchange with Gingrich. CUCCINELLI: What will you do as a president to structure your administration to filter out what I would consider to be the nonconservative, nonlimited government ideas that you produce, and to stick to a government that focuses on limiting the federal government, shrinking it, shrinking its power and its spending? How will you do that within your administration? Gingrich didn’t really answer; the answer was that he was better than Cuccinelli was allowing. But Gingrich came off better than Michele Bachmann, who said that the worst SCOTUS decision of the last half-century, excluding Roe, was Kelo. It was Huckabee who dug in, there. HUCKABEE: What would you from the federal government’s perspective to protect private property? BACHMANN: Well I, the, the federal government needs to stand up in terms of legislation and also from the legal perspective. If there’s, if there’s a case that goes before the court, they need to follow the constitution and they also need to have reference with the declaration of independence because that’s part of our government that we uphold private property rights. That hasn’t happened a lot in recent years but it must. Somebody, please: Explain what she is saying there. There’s an extent to which “Tea Party constitutionalism” is strict constructionism, and a degree to which it’s a patina for things conservatives want to do. This forum was a pretty good acid test to suss out which was which.